Power Advanced 3020-5020 are the professional models of the Power Advanced Olivetti line which, exploiting Line Interactive technology, provide power output supplies of, respectively, 1500VA and 2500VA. Compatible with all Windows, Linux and iMac operating systems. 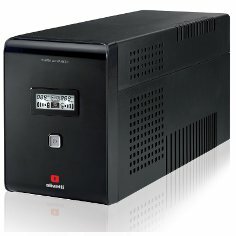 Deploying a UPS means providing staff and connected peripherals with an uninterrupted source of power.